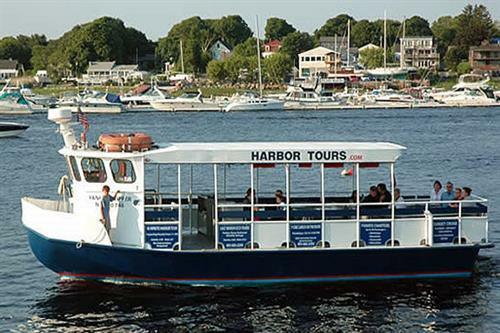 Our Newburyport Harbor and Great Salt Marsh Ecotours bring 15,000 years of natural history to life, spanning the end of the last ice age to the 21st century. 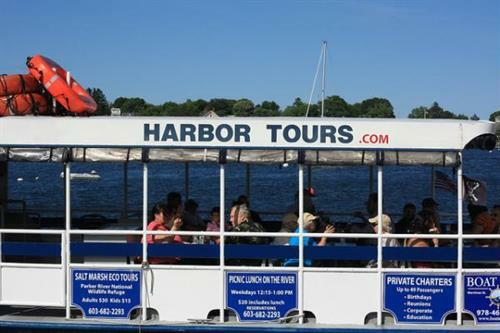 One-hour narrated harbor tours leaving Waterfront Park, every day June through October. Depart at 11:00 am, 1:00 pm, 3:00 pm, and 5:00 pm. Adults $19, Children $9. Sunset cocktail cruise at 6:30 - 8:00 pm on Friday and Saturday Evenings, $25. Wildlife Refuge Tour, 2.5 hours, $30 adult/$15 kids. Also available for private charters up to 42 passengers.